Yee-Hah! 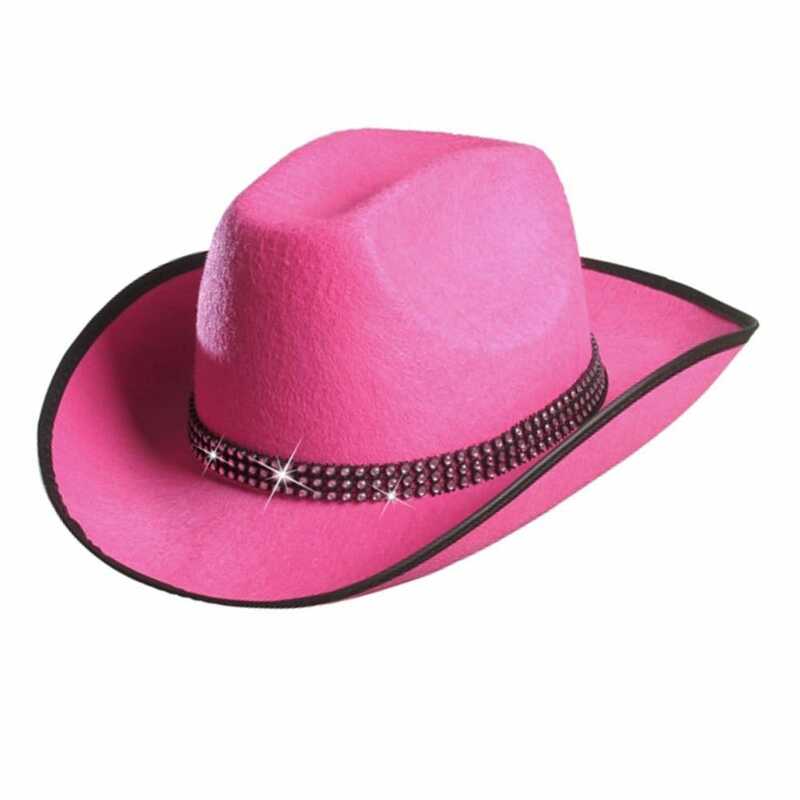 You'll be Queen of the Rodeo in this amazing Pink Cowgirl Hat With Diamante Rim. Mosey around the corral and dance-floor in style. It's perfect for hen parties, Halloween, fancy dress and nights out! This hat is made of pink felt and features a diamante rim. Why not add a Cowgirl Bandanna, Pink Cowgirl Spurs and a Personalised Pink Cowgirl Hen Party T-Shirt to complete the ensemble? Showing our 2 Hen Party Pink Cowgirl Hat With Diamante Jewels reviews with an average rating of Excellent. Would you like to write a review? Review - Ordered this for a friend for a cowgirl sleepwalk, lots of compliments, teamed this hat with fairly lights which sparkled against the diamante rim. She looked great in the hat and said it was fairly comfy for a 3.5 hour walk. Excellent price for a decent quality fancy dress item. Ordered this for a friend for a cowgirl sleepwalk, lots of compliments, teamed this hat with fairly lights which sparkled against the diamante rim. She looked great in the hat and said it was fairly comfy for a 3.5 hour walk. Excellent price for a decent quality fancy dress item. Review - I ordered these hats to wear for London Moonwalk as we were dressed as Cowgirls from Wild West movies, delivery was excellent, hats looked great on. Only negative is that they are rather large. We had hundreds of comments on how great the hats looked on the night. I ordered these hats to wear for London Moonwalk as we were dressed as Cowgirls from Wild West movies, delivery was excellent, hats looked great on. Only negative is that they are rather large. We had hundreds of comments on how great the hats looked on the night.